Energy efficiency refers to the economical utilisation of resources. It is initially quite separate from the topic of renewable energies. The approach of energy efficiency is – in simple terms – to achieve positive environmental effects through cost savings. There is no logical foundation for the common hypothesis that only expensive environmental protection can yield genuinely positive results. Energy efficiency can only achieve its intended objectives as long as the benefits are not offset by changes in actual consumption behaviour (rebound effect). It can be especially meaningful to tie energy efficiency considerations into construction projects, because the concept for a building already determines consumption patterns for a long period of future use. Our own company headquarters in Chemnitz implements various energy efficiency developments to offer practical examples. 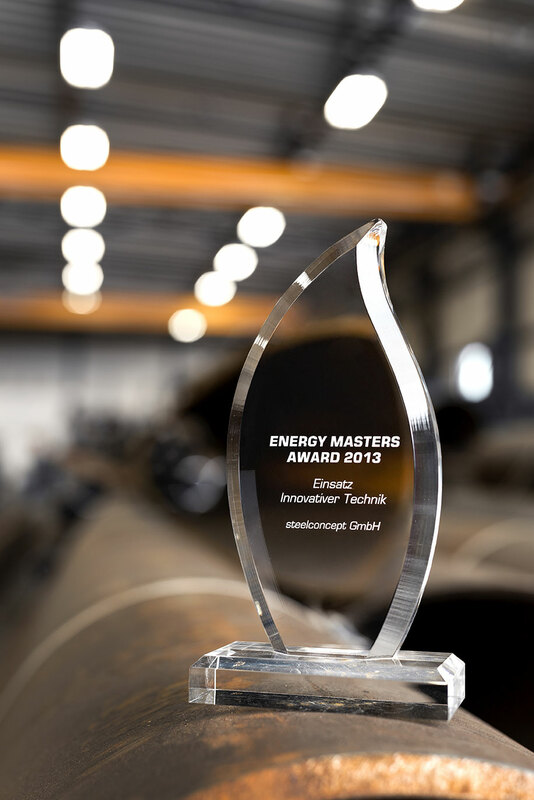 In 2013, that was also honoured with the bestowing of an Energy Masters Award in the category “Use of innovative technology”. If you wish, we can meet any time in Chemnitz to discuss function principles and the long-term experience we have gained. Technology continues to develop, and that also applies to energy efficiency. We would be glad to evaluate the latest options for your individual construction project. But the decision remains yours – you are not dealing with idealists out to “save the world” at all cost.